This article is about the major island in the Visayas, Philippines. For the small island in Bicol Region, Philippines, see Panay Island (Catanduanes). For other uses, see Panay (disambiguation). "Po-ni" redirects here. For the former state in Borneo, see History of Brunei. Panay is the sixth-largest and fourth most-populous island in the Philippines, with a total land area of 12,011 km2 (4,637 sq mi) and with a total population of 4,477,247. Panay comprises 4.4 percent of the entire population of the country. The City of Iloilo is its largest settlement with a total population of 447,992 inhabitants. It is a triangular island, located in the western part of the Visayas. It is about 160 km (99 mi) across. It is divided into four provinces: Aklan, Antique, Capiz and Iloilo, all in the Western Visayas Region. Just closely off the mid-southeastern coast lies the island-province of Guimaras. It is located southeast of the island of Mindoro and northwest of Negros across the Guimaras Strait. To the north and northeast is the Sibuyan Sea, Jintotolo Channel and the island-provinces of Romblon and Masbate; to the west and southwest is the Sulu Sea and the Palawan archipelago and to the south is Panay Gulf. Panay is the only main island in the Visayas whose provinces don't bear the name of their island. Panay is bisected by the Central Panay Mountain Range, its longest mountain chain. The island has many rivers, the longest being the Panay River at a length of 152 kilometres (94 mi), followed by the Jalaur, Aklan, Sibalom, Iloilo and Bugang rivers. Standing at about 2,117 m (6,946 ft), the dormant Mount Madia-as (situated in Culasi, Antique) is the highest point of the island, with Mount Nangtud (located between Barbaza, Antique and Jamindan, Capiz) following next at 2,073 m (6,801 ft). Before 1212, Panay was called Simsiman. The community is located at the shores of the Ulian River and was linked by a creek. The creek provided salt to the Ati people as well as animals which lick the salt out of the salty water. Coming from the root word "simsim", "simsimin" means "to lick something to eat or to drink", thus the place was called Simsiman. During the time of Datu Pulpulan, father of the Ati chief Marikudo, the island was called Aninipay from words "ani" to harvest and "nipay", a hairy grass abundant in the whole Panay. The hair of this grass though short is very sharp and easily prick the skin as barbs and is very difficult to remove. Once the barbs stick to the skin it can cause an extreme skin irritation. For this reason, Datu Pulpulan enacted a law that whoever among the Atis will use the nipay grass to endanger others will face death as punishment. When the Malay settlers arrived, they call the island Madia-as or Madja-as after the highest mountain in Panay, thought to be the sacred dwellings of the deities Bulalakaw and Kaptan and the divine lovers Sidapa and Bulan, as well as the abode of the judgement of the dead. The picturesque mountain which stood majestically in the area was thought to be the sacred place of Bululakaw, their supreme god or bathala. The island was so named by the Malay settlers due to the splendid beauty and allure of Mount Madiaas / Madja-as. A Spaniard named Gonzalo Ronquillo reached the island and also gave the name Pan hay which means "there's a bread (Pan)" in the island. The place was then called Pan-hay which eventually became Panay. Panay was the seat of the ancient Confederation of Madja-as—the first pre-Hispanic Philippine state within the Visayas, and the second Srivijayan colony in the archipelago, next to the Sulu Archipelago between Mindanao and Sabah. The island is purportedly named after the state of Pannai which was a militant-country fronting the strait of Malacca and responsible for policing the shipping of the area as well as expelling invasions from Arabs, Indians and Chinese until the state was felled by a surprise attack from the back-flank emanating from the Tamil-occupied capital of Srivijaya. Madja-as was established by nine rebel datus or high officials connected with the court of Brunei, who were forced to leave that are on account of enmity of the Rajah at that time ruling the land. The datus, together with their wives and children, as well as few faithful servants and followers were secretly escorted out of the country by the Rajah's Chief Minister, whose name was Datu Puti. The local folklore says that the name of the Bornean Rajah was Makatunao. Their ultimate origins may be traced to the sacking of the kingdom of Pannai at North Sumatra by the Chola dynasty who had placed puppet Rajahs on the throne after their invasion. (Hence the motive for the Sri Vijayan Datus to rebel against this, and go elsewhere). The island of Panay having been named after the dissolved kingdom of Pannai. They embarked on sailing rafts of the type used by the Visayans (the term used in the Malay settlements, of what is now Borneo and Philippines, to refer to Srivijayans) in Sumatra and Borneo. According to tradition, which survive in the local culture of Western Visayas, this seafaring vessel is called Balangay, from which Barangay—the smallest social unit in the present-day Philippines—came from. The semi-democratic confederation reached its peak during the 15th century under the leadership of Datu Padojinog when it warred against the Chinese Empire, the Rajahnate of Butuan, and the sultanates of Sulu and Maguindanao. It was also feared by the people of the Kingdom of Maynila and Tondo kingdoms. It was integrated to the Spanish Empire through pacts and treaties (c.1569) by Miguel López de Legazpi and his grandson Juan de Salcedo. During the time of their hispanization, the principalities of the Confederation were already developed settlements with distinct social structure, culture, customs, and religion. Among the archaeological proofs of the existence of this Hiligaynon nation are the artifacts found in pre-Hispanic tombs from many parts of the island, which are now in display at Iloilo Museum. Another testimony of the antiquity of this civilization is the longest and oldest epic in the region, the Hinilawod. Sailing northward from Borneo along the coast of Palawan, the ten Datus crossed the intervening sea, and reached the island of Panay. They landed at the point, which is near the present town of San Joaquin. They had been able to reach the place directly because their small fleet was piloted by a sailor who had previously visited these regions on a ship engaged in commerce and trade. Soon after the expedition had landed, the Borneans came in contact with the native people of the island, who were called Atis. Some writers have interpreted these Atis as Negritos, other sources present evidence that they were not at all a dwarfed primitive people of Negrito type, but were rather tall, dark-skinned Indonesian type. These native Atis lived in villages of fairly well-constructed houses. They possessed drums and other musical instruments, as well as a variety of weapons and personal adornments, which were much superior to those known among the Negritos. Negotiations were conducted between the newcomers and the native Atis for the possession of a wide area of land along the coast, centering on the place called Andona, at a considerable distance from the original landing place. Some of the gifts of the Visayans in exchange of those lands are spoken of as being, first, a string of gold beads so long that it touched the ground when worn and, second, a salakot, or native hat covered with gold. The term (which survive in the present Hiligaynon language) for that necklace is Manangyad, from the Hiligaynon term sangyad, which means "touching the ground when worn". There were also a variety of many beads, combs, as well as pieces of cloth for the women and fancifully decorated weapons for men. The sale was celebrated by a feast of friendship between the newcomers and the natives, following which the latter formally turned over possession of the settlement. This so-called Barter of Panay is annually commemorated in popular festivals such as Ati-atihan in Aklan and Dinagyang in Iloilo. Afterwards, a great religious ceremony was held, with a sacrifice to the settlers' ancient gods performed by a priest whom they had brought with them from Borneo. Left to right: Images from the Boxer Codex illustrating members of the ancient Visayan kadatuan or tumao class from Panay:  couple from the nobility,  a royal couple, and  a native princess. Following the religious ceremony, the priest indicated that it was the will of the gods that they should settle not at Andona, but rather at a place some distance to the east called Malandog (now a Barangay in Hamtik, Province of Antique, where there was both much fertile agricultural land and an abundant supply of fish in the sea. After nine days, the entire group of newcomers was transferred to Malandog. At this point, Datu Puti announced that he must now return to Borneo. He appointed Datu Sumakwel, the oldest, wisest and most educated of the datus, as chief of the Panayan settlement. Two of the Datus, with their families and followers, set out with Datu Puti and voyaged northward leaving Panay. After a number of adventures, they arrived at the bay of Taal, which was also called Lake Bombon on Luzon. Datu Puti returned to Borneo by way of Mindoro and Palawan, while the rest settled in Lake Taal. The original Panayan settlements continued to grow and later split up into three groups: one of which remained in the original district (Irong-irong), while another settled at the mouth of Aklan River in northern Panay. The third group moved to the district called Hantik. These settlements continued to exist down to the time of the Spanish regime and formed centers, around which the later population of the three provinces of Iloilo, Capiz, and Antique grew up. An old manuscript Margitas of uncertain date (discovered by the anthropologist H. Otley Beyer) give interesting details about the laws, government, social customs, and religious beliefs of the early Visayans, who settled Panay within the first half of the thirteenth century. The term Visayan was first applied only to them and to their settlements eastward in the island of Negros, and northward in the smaller islands, which now compose the province of Romblon. In fact, even at the early part of Spanish colonialization of the Philippines, the Spaniards used the term Visayan only for these areas. While the people of Cebu, Bohol, and Leyte were for a long time known only as Pintados. The name Visayan was later extended to them because, as several of the early writers state, their languages are closely allied to the Visayan dialect of Panay. Grabiel Ribera, captain of the Spanish royal infantry in the Philippine Islands, also distinguished Panay from the rest of the Pintados Islands. In his report (dated 20 March 1579) regarding a campaign to pacify the natives living along the rivers of Mindanao (a mission he received from Dr. Francisco de Sande, Governor and Captain-General of the Archipelago), Ribera mentioned that his aim was to make the inhabitants of that island "vassals of King Don Felipe… as are all the natives of the island of Panay, the Pintados Islands, and those of the island of Luzon…"
During the early part of the colonial period in the Archipelago, the Spaniards led by Miguel López de Legazpi transferred their camp from Cebu to Panay in 1569. On 5 June 1569, Guido de Lavezaris, the royal treasurer in the Archipelago, wrote to Philip II reporting about the Portuguese attack to Cebu in the preceding autumn. A letter from another official, Andres de Mirandaola (dated three days later, 8 June), also described briefly this encounter with the Portuguese. The danger of another attack led the Spaniards to remove their camp from Cebu to Panay, which they considered a safer place. Legazpi himself, in his report to the Viceroy in New Spain (dated 1 July 1569), mentioned the same reason for the relocation of Spaniards to Panay. It was in Panay that the conquest of Luzon was planned, and later launched on 8 May 1570. There are legends on how the island itself came to be called Panay. It was, however, once referred as Aninipay by the indigenous Aetas, after a plant that abounded in the island. Later, the Malay settlers (most probably from the fallen Srivijayan State of Pannai), who first arrived in the island in the 12th century, called it Madja-as. Another legend has it that Legazpi and his men, in search of food as they moved away from Cebu, exclaimed upon seeing the island, "Pan hay en esta isla"!. So they established their first settlement in the island at the mouth of the Banica River in Capiz, and called it Pan-ay. This was the second Spanish settlement in the Philippines, after San Miguel, Cebu. During the early part of the Spanish colonization of the Philippines, the Spanish Augustinian Friar Gaspar de San Agustín, O.S.A. described Panay as: "…very similar to that of Sicily in its triangular form, as well as in it fertility and abundance of provision. It is the most populated island after Manila and Mindanao, and one of the largest (with over a hundred leagues of coastline). In terms of fertility and abundance, it is the first. […] It is very beautiful, very pleasant, and full of coconut palms… Near the river Alaguer (Halaur), which empties into the sea two leagues from the town of Dumangas…, in the ancient times, there was a trading center and a court of the most illustrious nobility in the whole island." Padre Francisco Colin (1592-1660), an early Jesuit missionary and Provincial of his Order in the Philippines also records in the chronicles of the Society of Jesus (published later in 1663 as Labor euangelica) that Panay is the island which is most abundant and fertile. The first Spanish settlement in Panay island and the second oldest Spanish settlement in the Philippines was established by the Miguel Lopez de Legazpi expedition in Panay, Capiz at the banks of the Panay River in northern Panay, the name of which was extended to the whole Panay island. Legazpi transferred the capital there from Cebu since it had abundant provisions and was better protected from Portuguese attacks before the capital was once again transferred to Manila. The island is the most fertile and well-provisioned of all the islands discovered, except the island of Luzon: for it is exceedingly fertile, and abounds in rice, swine, fowls, wax, and honey; it produces also a great quantity of cotton and abacá fiber. "The villages are very close together, and the people are peaceful and open to conversion. The land is healthful and well-provisioned, so that the Spaniards who are stricken in other islands go thither to recover their health." "The natives are healthy and clean, and although the island of Cebu is also healthful and had a good climate, most of its inhabitants are always afflicted with the itch and buboes. In the island of Panay, the natives declare that no one of them had ever been afflicted with buboes until the people from Bohol – who, as we said above, abandoned Bohol on account of the people of Maluco – came to settle in Panay, and gave the disease to some of the natives. For these reasons the governor, Don Gonzalo Ronquillo, founded the town of Arevalo, on the south side of this island; for the island runs north and south, and on that side live the majority of the people, and the villages are near this town, and the land here is more fertile." This probably explains why there are reference of presence of Pintados in the Island. "The island of Panay provides the city of Manila and other places with a large quantity of rice and meat…"... "As the island contains great abundance of timber and provisions, it has almost continuously had a shipyard on it, as is the case of the town of Arevalo, for galleys and fragatas. Here the ship 'Visaya' was launched." Another Spanish chronicler in the early Spanish period, Dr. Antonio de Morga (Year 1609) is also responsible for recording other Visayan customs. Customs such as Visayans' affinity for singing among their warrior-castes as well as the playing of gongs and bells in naval battles. Their customary method of trading was by bartering one thing for another, such as food, cloth, cattle, fowls, lands, houses, fields, slaves, fishing-grounds, and palm-trees (both nipa and wild). Sometimes a price intervened, which was paid in gold, as agreed upon, or in metal bells brought from China. These bells they regard as precious jewels; they resemble large pans and are very sonorous. They play upon these at their feasts, and carry them to the war in their boats instead of drums and other instruments. The early Dutch fleet commander Cornelis Matelieff de Jonge called at Panay in 1607. He mentions a town named "Oton" on the island where there were "18 Spanish soldiers with a number of other Spanish inhabitants so that there may be 40 whites in all". He explained that "a lot of rice and meat is produced there, with which they [i.e. the Spanish] supply Manila." According to Stephanie J. Mawson, using recruitment records found in Mexico, in addition to the 40 Caucasian Spaniards who then lived in Oton, there were an additional set of 66 Mexican soldiers of Mulatto, Mestizo or Native American descent sentried there during the year 1603. However, the Dutch visitor, Cornelis Matelieff de Jongedid, did not count them in since they were not pure whites like him. The island lent its name to several United States Navy vessels including the USS Panay (PR-5), sunk in 1937 by the Japanese in the Panay incident. Mount Madia-as, is the highest point in Panay Island standing at 6,946 ft. (2,117 m ) above sea level, located in the Northern province of Antique. Boracay, an island 2 kilometres (1.2 miles) to the northwest tip of Panay Island and part of Aklan province, is a popular tourist destination. The island is covered by 4 provinces, 92 municipalities, and, as of 2014[update], 3 cities (93 municipalities if the associated islands of Caluya are included), all under the jurisdiction of the Western Visayas region. Notes: The municipality of Caluya in Antique province is covered by separate islands which are included under the island group of Panay. Iloilo figures include the independent city of Iloilo. This survey was made possible through the help of the Victoria Archaeological Society (VAS) who in 1975 offered their assistance into surveying the Island of Panay. Lapuz Lapuz Cave is located in the village of Moroboro in Dingle, Iloilo. Lapuz Lapuz is named so because it has an entrance from either end. It is approximately 90-metre (300 ft) long and located in a mountainous terrain. Its closest source of water is Butac Cave; next closest is the Jalaur river. It was occupied about 800 years ago. Used for no more than 200 years; occupied intensively occasionally rather than continuously. Cultural layers are strongly alkaline. Cultural sediments are mostly clay and silty foam with some debris from the roof of the cave. A significant number of this must have come from the outside, possibly due to erosion or due to large amounts of leaching. Two species of bat inhabit Lapuz Lapuz cave: species Eonycteris Longicaudea and genus Pipistrellus. Based on archaeological evidence, remains of larger animals were dumped in the rear of the cave while the bats were dumped near the entrance of the cave. Deer, Pig, Civet, Rat, Monkey, Lizard, Snake, Turtle, Crab, Frog and Fish remains were found as well. Earthenware found was most likely shaped by a paddle and an anvil. The paddles mostly used for decorative than utilitarian purposes. Most sherds appear to have been used for cooking, because its parts are blackened to some extent; deposits of carbon also found inside the pots. The other sherds were used either as bowls or goblets. Most of the vessels were made in the Philippines. Due to the absence of beads, other ornaments and high pottery densities, it could be concluded that the cave was once a transitory hunting and gathering camp. Snail shells found are mainly of the genera Rhysota, Helicostyla, Cyclophorus and Obba. The most often occurring of which is Rhysota, mainly because it’s the most economic snail. Rhysota has the highest yield of meat for the weight of the shell compared to the other genera. Rhysota is also the most occurring unlike Helicostyla. Unlike the genera Thiara which requires a drier month for it to be collected from the banks of the nearest river, Rhysota is more accessible. This diet could be explained by the fact that the hunters hunted extensively and so they had to rely on a diet of molluscs. Naulan Cave is situated at the foot of Mt. Agmasibes in Barangay Concepcion, Municipality of Dumalag, Capiz. It is around 1.5 km (0.9 mi) west of the Panay river, the Panay river being sandwiched between rugged limestone mountains (Mt. Paginraon and Mt. Agbadiang). Naulan cave is 18 metres (59 feet) long and 5 metres (16 feet) outward. It is estimated to be 800 B.P. old. There are three caves within the vicinity, all of which are habitable by humans but doesn’t show any evidence of human habitation. This is probably because the Naulan rock shelter has a more accommodating environment. No sources of water have been found in the immediate vicinity of the caves or the rock shelter. Thiara Tuberculata composes 78% weight wise and Rhysota composes 7-15% of the total weight of shells. However, Rhysota still significantly contributes to the total meat weight. Naulan Cave’s taxonomy is the same with the Lapuz Lapuz cave except for the lack of civets. In terms of animals, the major target was deer for most of the habitation while pig was being targeted more during the later years. Like Lapuz Lapuz, Naulan was also a hunting assemblage where animals were butchered and their bones broken into splinters by some form of heat treatment. The earthenware found inside the cave were polished utilitarian vessels, mainly for cooking. For the rest of the habitation of the cave, there were no changes in the design and function of the earthenware. Minerals such as hornblende, quartz and a red crypto-crystalline quartz were found as inclusions of the sherds. Langub Cave can be found in Barrio Dolores, Dumalag, Capiz. It is southeast of Naulan and surrounded by a light rainforest. Its entrance is 27 metres (89 ft) wide and 20 meters although the eastern side is blocked by a rock fall. The floor of the cave is flat but filled with damp and slippery clay. It could be 4000-1000 B.P. old. Like Naulan and Lapuz Lapuz cave, Langub was a hunter-gatherer site where the hunting parties brought earthenware occasionally. There were six species present in the analysis of the mollusks. However, Rhysota rhea and Thiara tuberculata were the most common species found. Rhysota rhea composes 95% of shell meat contribution meaning there was a consistent collection of this species from the forest environment. Thiara, on the other hand, is due to the fact that the site is closer to a spring where they were collected. Of the bones found, most of these were for smaller animals such as bats. Remains of rodent, reptile, pig, civet, fish and deer were found. The cave shows signs of butchering but no presence of bone or antler tools. Stone tools found in the cave were made from cryptoscalline quartz, andesite, basalt and granite. Although majority of the stone tools were made from cryptoscalline quartz. Most tools found were utilitarian. Earthenware pottery was rare. Gui-ub cave is a large rock shelter found in Barangay Tigbayog, Calinog, Iloilo. It is located in the mountain chain dividing Iloilo from Antique. Gui-ub’s location could have been a very rich source of resources before deforestation occurred around the 1940s. The floor of the shelter is flat and dry. The walls are made up of a coarse conglomerate, which weathered and eventually covered the floor with small waterworn pebbles. Floor deposits are full of small holes because of termites. Mollusc analysis showed that there were very few shells present in the layers. Shells seem to be of little importance to the economy of Gui-ub cave. Skeletal analysis shows remains of pig, deer, monkey, civet, cat, dog, bat, reptile, fish, rat, bird and crustacean. The primary targets of the people residing in Gui-ub were mostly large animals (pig and deer) and only took smaller animals when the opportunity presents itself. The presence of two young dogs suggests that they were probably domesticated. A large reptilian vertebrae was also found which can only come from a reptile as large as a crocodile. It could have been a large, extinct species of turtle. Earthenware, in general, were utilitarian, smoothed, polished, unslipped and fired at low temperatures. They were probably shaped with a paddle and an anvil. Two sherds have charcoal deposits indicating that these were once charcoal burners or stoves. Most of the evidence uncovered was made of cryptocrystalline quartz. The others were composed of hornfels and andesite. The Pilar Caves are located in Pilar Municipality, Capiz. Many of the caves were damaged due to guano digging. In search of a site with archaeological artifacts in their original places, an overhang was examined. By weight the most important species are Turritela, Melanoides, Tegillarca and Ostrea for the more recent layers; Nerita, Ostrea and Melanoides for the older layers. Very few of the shells are burnt. Remains of pig, deer, rodent, reptile, monkey, crab and fish were found. Presence of human molars and mammal long bone fragments implies the possibility of the place being used as a burial site. The limited remains of the animals such as the pig suggests that the animals could have been domesticated for food. Wikivoyage has a travel guide for Panay. Look up Panay in Wiktionary, the free dictionary. 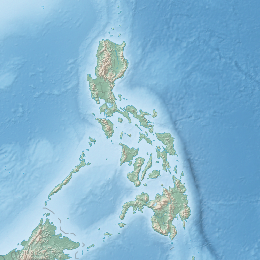 Wikimedia Commons has media related to Panay. ^ Boquet, Yves (2017). The Philippine Archipelago. Springer. p. 16. ISBN 9783319519265. ^ a b c d G. Nye Steiger, H. Otley Beyer, Conrado Benitez, A History of the Orient, Oxford: 1929, Ginn and Company, p. 120. ^ a b Francisco Colin, S.J., Labor evangélica, Madrid:1663. ^ In Panay, the existence of highly developed and independent principalities of Ogtong (Oton) and Araut (Dumangas) was well known to early Spanish settlers in the Philippines. The Augustinian historian Gaspar de San Agustin, for example, wrote about the existence of an ancient and illustrious nobility in Araut, in his book Conquistas de las Islas Filipinas (1565–1615). He said: "También fundó convento el Padre Fray Martin de Rada en Araut—que ahora se llama el convento de Dumangas—con la advocación de nuestro Padre San Agustín … Está fundado este pueblo casi a los fines del río de Halaur, que naciendo en unos altos montes en el centro de esta isla (Panay) … Es el pueblo muy hermoso, ameno y muy lleno de palmares de cocos. Antiguamente era el emporio y corte de la más lucida nobleza de toda aquella isla." Gaspar de San Agustin, O.S.A., Conquistas de las Islas Filipinas (1565–1615), Manuel Merino, O.S.A., ed., Consejo Superior de Investigaciones Cientificas: Madrid 1975, pp. 374–375. ^ G. Nye Steiger, H. Otley Beyer, Conrado Benitez, A History of the Orient, Oxford: 1929, Ginn and Company, pp. 120–121. ^ a b c d G. Nye Steiger, H. Otley Beyer, Conrado Benitez, A History of the Orient, Oxford: 1929, Ginn and Company, p. 121. ^ G. Nye Steiger, H. Otley Beyer, Conrado Benitez, A History of the Orient, Oxford: 1929, Ginn and Company, pp. 121–122. ^ a b G. Nye Steiger, H. Otley Beyer, Conrado Benitez, A History of the Orient, Oxford: 1929, Ginn and Company, p. 122. ^ Scott, William Henry, Pre-hispanic Source Materials for the study of Philippine History, 1984: New Day Publishers, pp. 101, 296. ^ Cf. BLAIR, Emma Helen & ROBERTSON, James Alexander, eds. (1911). The Philippine Islands, 1493–1803. Volume 04 of 55 (1493–1803). Historical introduction and additional notes by Edward Gaylord BOURNE. Cleveland, Ohio: Arthur H. Clark Company. ISBN 978-0554259598. OCLC 769945704. "Explorations by early navigators, descriptions of the islands and their peoples, their history and records of the catholic missions, as related in contemporaneous books and manuscripts, showing the political, economic, commercial and religious conditions of those islands from their earliest relations with European nations to the beginning of the nineteenth century. ", pp. 257–260. ^ a b Cf. BLAIR, Emma Helen & ROBERTSON, James Alexander, eds. (1911). The Philippine Islands, 1493–1803. Volume 03 of 55 (1493–1803). Historical introduction and additional notes by Edward Gaylord BOURNE. Cleveland, Ohio: Arthur H. Clark Company. ISBN 978-0554259598. OCLC 769945704. "Explorations by early navigators, descriptions of the islands and their peoples, their history and records of the catholic missions, as related in contemporaneous books and manuscripts, showing the political, economic, commercial and religious conditions of those islands from their earliest relations with European nations to the beginning of the nineteenth century. ", pp. 15–16. ^ Cf. BLAIR, Emma Helen & ROBERTSON, James Alexander, eds. (1911). The Philippine Islands, 1493–1803. Volume 03 of 55 (1493–1803). Historical introduction and additional notes by Edward Gaylord BOURNE. Cleveland, Ohio: Arthur H. Clark Company. ISBN 978-0554259598. OCLC 769945704. "Explorations by early navigators, descriptions of the islands and their peoples, their history and records of the catholic missions, as related in contemporaneous books and manuscripts, showing the political, economic, commercial and religious conditions of those islands from their earliest relations with European nations to the beginning of the nineteenth century. ", p. 73. ^ Cf, Sebastian Sta. Cruz Serag, The Remnants of the Great Ilonggo Nation, Sampaloc, Manila: Rex Book Store, 1997, p. 21. ^ Mamuel Merino, O.S.A., ed., Conquistas de las Islas Filipinas (1565–1615), Madrid: Consejo Superior de Investigaciones Cientificas, 1975, pp. 374–376. ^ Francisco Colin, S.J., Labor euangelica, ministerios apostolicos de los obreros de la Compañia de Iesus : fundacion, y progressos de su Prouincia en las islas Filipinas historiados, Madrid:1663, Lib. I, Cap. VII, p. 63. ^ "The First Spanish Settlement in Panay" By Henry F. Funtecha PUBLISHED IN: The News Today. ^ a b c Miguel de Loarca, Relacion de las Yslas Filipinas (Arevalo: June 1582) in BLAIR, Emma Helen & ROBERTSON, James Alexander, eds. (1903). The Philippine Islands, 1493–1803. Volume 05 of 55 (1582–1583). Historical introduction and additional notes by Edward Gaylord BOURNE. Cleveland, Ohio: Arthur H. Clark Company. ISBN 978-0554259598. OCLC 769945704. "Explorations by early navigators, descriptions of the islands and their peoples, their history and records of the catholic missions, as related in contemporaneous books and manuscripts, showing the political, economic, commercial and religious conditions of those islands from their earliest relations with European nations to the beginning of the nineteenth century. ", p. 67. ^ Miguel de Loarca, Relacion de las Yslas Filipinas (Arevalo: June 1582) in BLAIR, Emma Helen & ROBERTSON, James Alexander, eds. (1903). The Philippine Islands, 1493–1803. Volume 05 of 55 (1582–1583). Historical introduction and additional notes by Edward Gaylord BOURNE. Cleveland, Ohio: Arthur H. Clark Company. ISBN 978-0554259598. OCLC 769945704. "Explorations by early navigators, descriptions of the islands and their peoples, their history and records of the catholic missions, as related in contemporaneous books and manuscripts, showing the political, economic, commercial and religious conditions of those islands from their earliest relations with European nations to the beginning of the nineteenth century. ", p. 69. ^ Miguel de Loarca, Relacion de las Yslas Filipinas (Arevalo: June 1582) in BLAIR, Emma Helen & ROBERTSON, James Alexander, eds. (1903). The Philippine Islands, 1493–1803. Volume 05 of 55 (1582–1583). Historical introduction and additional notes by Edward Gaylord BOURNE. Cleveland, Ohio: Arthur H. Clark Company. ISBN 978-0554259598. OCLC 769945704. "Explorations by early navigators, descriptions of the islands and their peoples, their history and records of the catholic missions, as related in contemporaneous books and manuscripts, showing the political, economic, commercial and religious conditions of those islands from their earliest relations with European nations to the beginning of the nineteenth century. ", p. 71. ^ Peter Borschberg, Journal, Memorials and Letters of Cornelis Matelieff de Jonge. Security, Diplomacy and Commerce in 17th-century Southeast Asia, ed. BORSCHBERG, Peter (2015) Singapore: NUS Press, ISBN 978-9971-69-798-3, p. 565-6. ^ Coutts, P. (1983). An archaeological perspective of Panay Island, Philippines. Cebu City: University of San Carlos.